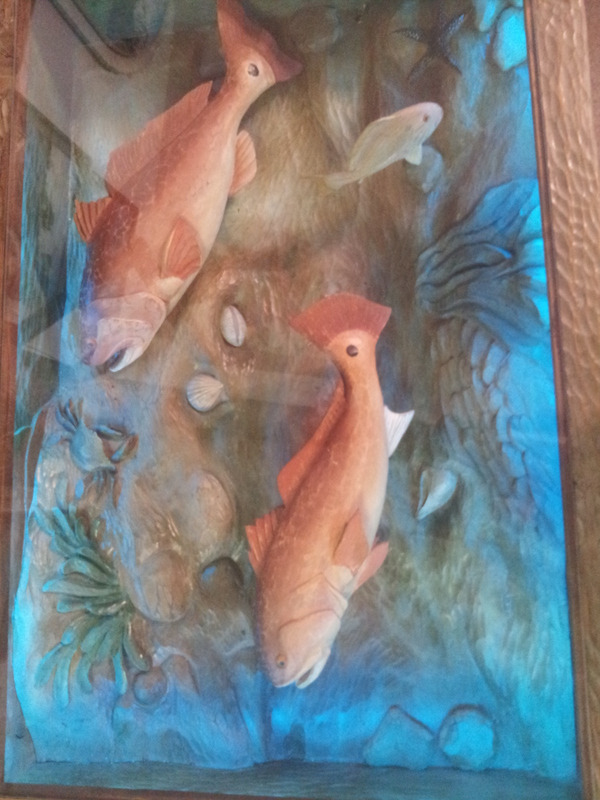 Florida artist Gil Watson has created this hand carved coffee table. 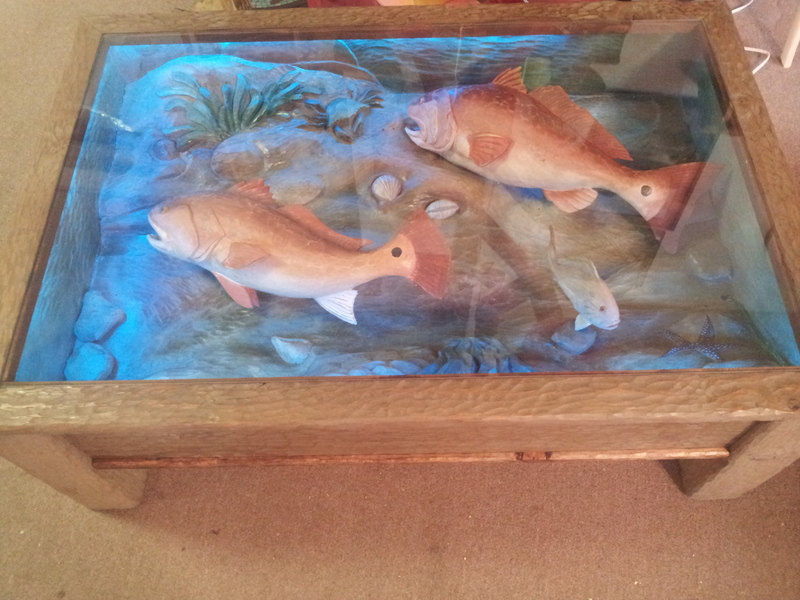 The marine scene in the coffee table is all hand carved and depicts the fish and underwater scene found in Florida. 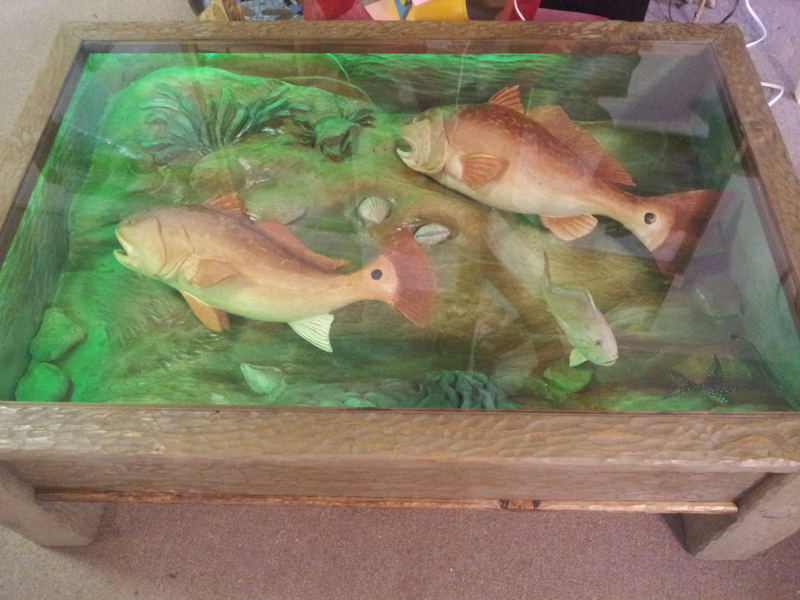 Gil has also carved coffee tables that depicts the more Northern areas such as a trout stream. 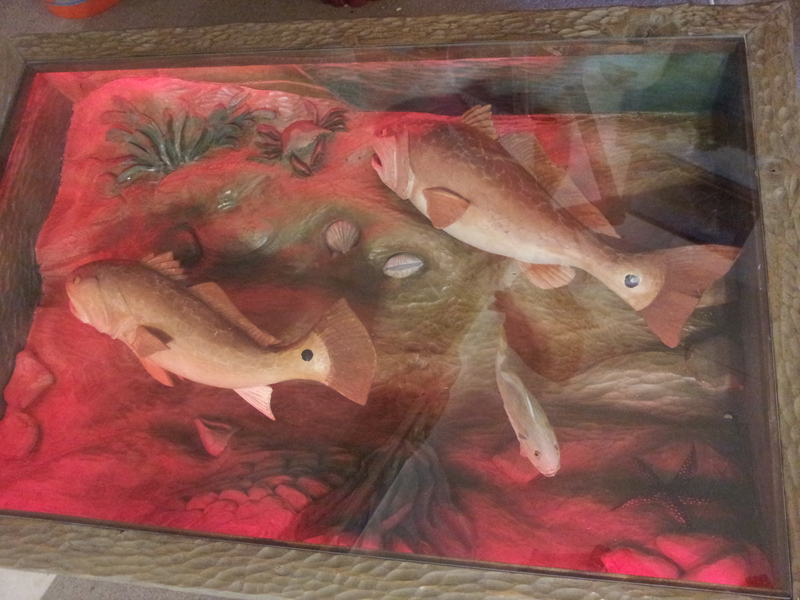 There is concealed LED strip lights on the inside which is activated by remote control and had multi-colors. 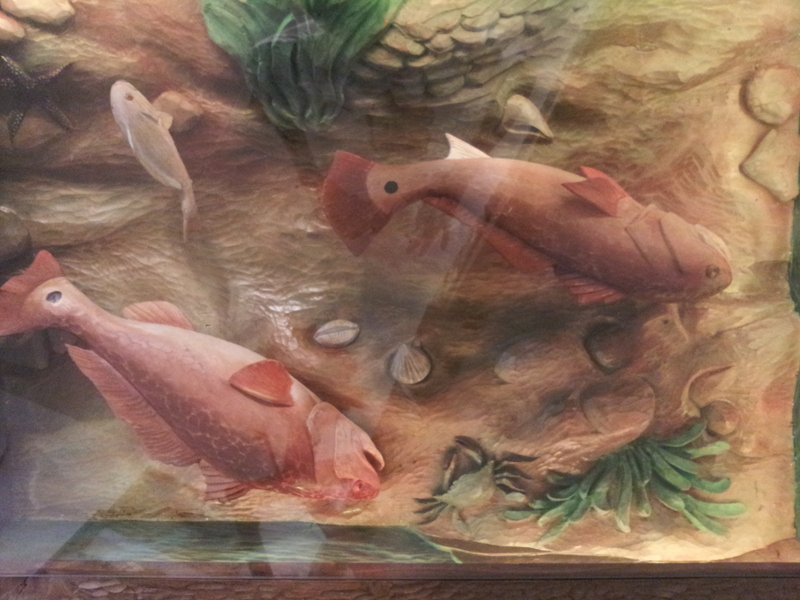 There is a glass top.